Accokeek Foundation started as a small agricultural preserve dedicated to conserving land along the Potomac. Over the last 70 years, it has transformed into a well known non-profit organization dedicated to conservation of the natural and cultural space and environmental stewardship of the surrounding Piscataway Park. Accokeek Foundation currently runs a sustainable farm to teach people how they can apply sustainable methods to their own land. They also run an environmental education program dedicated to providing schools and visitors with the tools to become environmental stewards themselves. 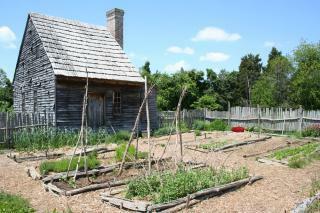 Accokeek Foundation also preserves the cultural sites on its land through museums and colonial education programs. Accokeek Foundation is committed to sustainability through its own mission to inspire stewardship. The foundation provides open access to its educational programs for local schools and involves different neighborhoods along the Potomac in its mission to conserve the land.